WELCOME to the VEGAS VALLEY DOG OBEDIENCE CLUB web site. 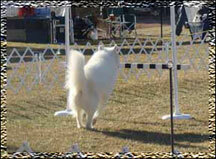 related functions, and offer obedience demonstrations at local events and to local schools. behave with good manners in the home, public areas, and in the presence of other dogs. 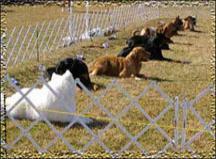 opportunity for people and their dogs to show, and earn titles, in AKC obedience trials. We welcome all dogs - pure breed and mixed breed. operations and conduct. This document is available for viewing here. adjacent building at 6275 W. SAHARA. The public is invited. just bring a chair. Friends and family are also welcome to come. animal activism and has served on the board of multiple animal welfare organizations. horses and everything in between. treated as such. That’s why we offer services that go above and beyond average pet care. A number of changes were made to the AKC Obedience regulations in 2018 and February 2019. Go to the AKC Obedience News and Updates page for more details. No events scheduled at this time. Check back for fall trial information.